We have found that the answer is often times ‘right in front of your nose’…you just need a little help in seeing it. That is where we come in…we get to know you, your business, your clients, your challenges and your goals. Only then do we make recommendations on a marketing or outreach strategy. But, we just don’t hand you a list of ideas and say “good luck”…we will work with you throughout the process to make sure the maximum benefits are achieved. 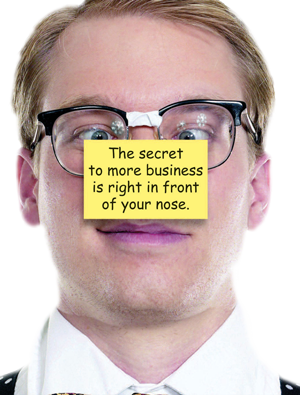 Why not give us a call today…you might be surprised at what “is right in front of your nose”.